Re: Truck Show & MORE! whens the mudracing coming back at the barn? i used 2 have so much fun racing up there! just wondering no biggie! I hope soon. We are working on it but the city is just a pain to deal with. 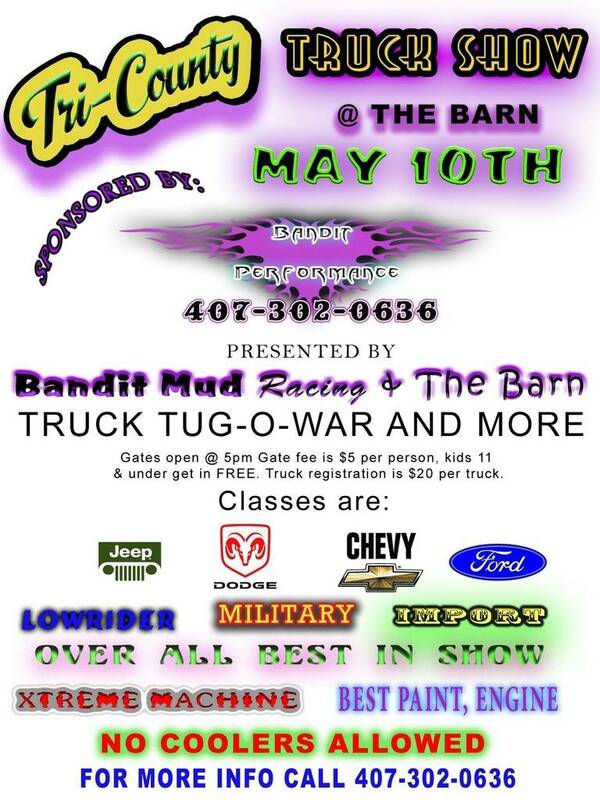 We may even end up making a mud hole the night of the truck show. You can never tell with us! what are the rules for the tug a war ? unlimited? that means unlimited weight? or unlimited power ? tires? dirtydave wrote: what are the rules for the tug a war ? unlimited? that means unlimited weight? or unlimited power ? tires? hitch hieght no more than 6" above frame rail. must be drove in NO trailering.